This is my first Amo Jones book and I keep wondering why I waited so long. With that said, I feel like I need to read this book again before I can do this review justice. Alas, here I go. Welcome to Riverside Preparatory Academy where Madison Montgomery is not only new, but has a past that follows her everywhere. She has an absentee father who leaves her to take care of herself and she does pretty well... until someone points out the Elite Kings Club. Her life takes an road that she could have never imagined. Bishop Vincent Hayes is HOT! He's strong and powerful and the kind of guy I am drawn too and I'm oldish. This book has a feeling of Cruel Intentions meets Skulls meets Conspiracy Theory meets the best kind of f&cked-up-ed-ness. There are so many layers to this book which hooked me from the very beginning. And as I sit here trying to formulate my thoughts, I don't think I can do it justice. So... I'll tell you what I really am thinking, even days later. AHHHHHHHHHH!!! I can't stop screaming. Everyone, I mean everyone needs to read The Silver Swan. Amo Jones will take you down the rabbit hole of a secret society that has an epic reach. The Silver Swan in screwed up in the best way possible. The best way includes the fact that I'm three days out from reading and I still can't form too many coherent thoughts about this book other than, I must read it again (and again), NOW, so that I can really understand what the hell justhappened. Gossip Girl meets Pretty Little Liars meets The Skulls. So many secrets. So many lies. I don't even know where to start with this book and not give anything away. And where has this author been all my life?! Amo has woven a story that kept me on edge until the very end. The plot was something I've never read before. The characters were strong and never once did I find myself rolling my eyes at something they said or did. And they're teenagers!! That in itself is a feat. The heroine Madison has a past. A past that we only get snippets of throughout the book and makes you realize the author is only giving you pieces to keep you intrigued and on the hook. What exactly happened with her mom? What's going on with her dad? We only get rumors and a few actual facts from Madison. I have a feeling when things come to light they are going to rock our worlds. Then there is the Elite Kings Club. Who are they? What is their purpose? They are hot, I'll tell you that. And maybe not so nice guys. But do we really believe that as the story starts to unfold? I'm not entirely convinced they are the bad guys yet even though Amo writes them on a way you almost have to believe it. I love those boys and I'm excited to see how their part in this story manifests. 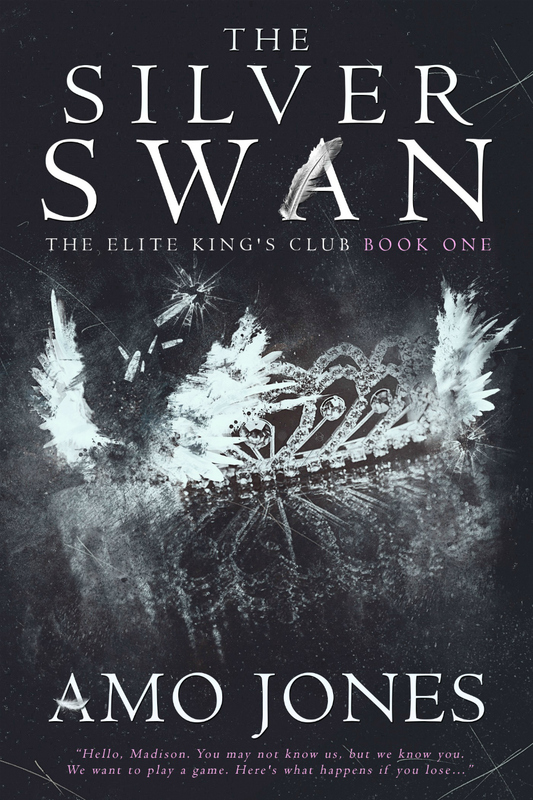 If you're looking for a book that will keep you on edgeand maybe even make you want to throw it across the room at times then I highly suggest The Silver Swan. This book has everything and I mean everything to hatch a great story and I know without a doubt this is just the beginning of a wild ride.